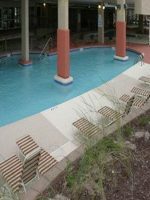 If you are looking for a great Myrtle Beach value and spacious family rooms then the Harbourgate Marina Club is the place for you and your family. Located on the Intracoastal Waterway, this hotel boasts one-, two- and three-bedroom condos with full kitchens and beautiful marina views. Families will love the outdoor pool, fishing off the dock, boat tours, or Jet Skiing in the Waterway. The onsite restaurant and tiki bar are also great dining options that are casual and overlook the waterfront. Families can enjoy nightly entertainment, music under the stars and beautiful marina views. These one-, two- and three-bedroom condos offer the perfect amount of space for families. With several floor plans available these units can accommodate anywhere from four to 10 guests. 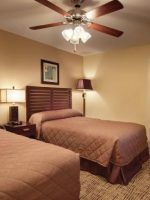 Several bed-size combos are also available for families including one king and two double, one king and one queen or two king and two queen beds. A sleeper sofa offers additional bedding if needed. Each condo features fully equipped kitchens with dishes, cooking utensils, a microwave, refrigerator, stove and coffeemaker. 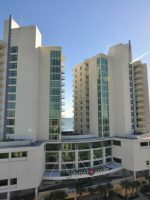 All units offer beautiful marina views as well as furnished private balconies. Free Wi-Fi access is available in all rooms, and each bedroom and living room feature cable TV and free HBO channels. Fresh towels and housekeeping services are provided daily, keeping each room clean and comfortable for the best possible stay. Offering all of the necessities and comforts of home, these spacious rooms are perfect for families. Spring Break with my girls! Nice place with everything we needed for a great vacation! 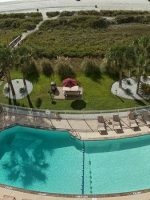 Pretty views of the marina and intracoastal waterway! The pool was nice and warm even though the air wasn’t always. The hot tub was my favorite, though. We found the location to be very convenient to the beach and other activities. Definitely will keep this place in mind for future vacations! So nice we rebooked for next weekend. We booked online and had no idea what we were gonna encounter. Upon arrival we were greeted by the receptionist Dana, a fabulous person to deal with. She assigned me a room that was down on a lower floor,and after all of her hard work,in requested a room on a higher floor. Without hesitation, she started typing and reassigned me to a new room up on the 5th floor. She never complained or refused. Each time we passed the front desk in route to the pool,hot tub,or to go out for the day, she was always there to greet us with the greatest personality and attitude. When Dana was gone we were greeted by Bridget (With the lovely nails). Her actions were a mirror image of Dana's. The pool maintenance guy down to the security guard, all offered us wonderful conversation and were alway asking if we needed anything. I was overwhelmed before I even made it up to the room. Upon entering the room we were overly impressed with the cleanliness and layout of everything. We were never disturbed by any staff or other guest, it was like we were the only ones there. The pool was quiet and so warm,the hot tub was amazing, both were very clean,and the chlorine was perfect,no eye burning at all.It almost felt unreal and too good to be true.On our final day nothing changed, we were still treated like brand new guest. I have stayed at the same resort in Myrtle Beach for the last 8 1/2 years, and after this weekend, I now have a new destination. I cant see myself going back to the chaos and hustle of my old resort. Harbourgate Marina is my new favorite, and I see us being here many many more times in the very near future. I've named off all the pros,and I'm gonna be completely honest, there is NO cons. Harbourgate is beyond peaceful,well maintained, clean,and welcoming. We cant wait to be back next weekend,we already booked a 3 bedroom. Thanks to the entire staff for making our stay exceptionally awesome. Harbourgate boasts a wide range of water sport activities keeping all water and boat loving families busy. From swimming to boating and jet skiing there is plenty to do. Even though Harbourgate is not located directly on the beach, families can still grab their towels, chairs, buckets and shovels and head to one of the many North Myrtle beaches, which are just a short drive away. 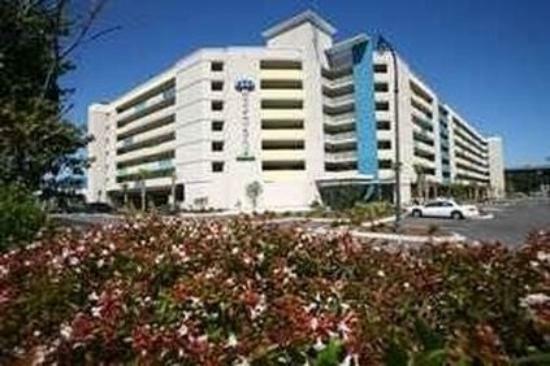 With easy and ample parking families won't have to worry about the hassle of getting the kids to the beach. Ask the front desk for directions if needed. 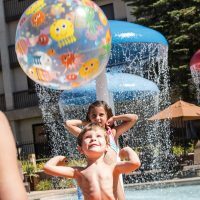 Kids can splash around in the outdoor family pool while mom and dad relax in the outdoor whirlpool and spa. 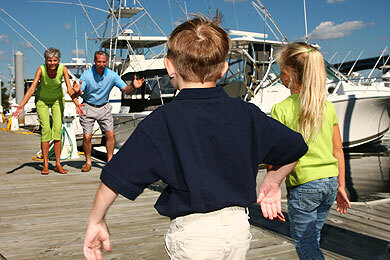 Kids can also crab and fish off of the dock and pool deck that overlooks the Waterway. Freedom Boat Rentals is located onsite and offers families daily rentals for fishing, swimming, relaxing and exploring the waters. Jet ski rentals are also available for families as well as boating and sightseeing tours. The Sea Thunder boating tour leaves from the Harbourgate Marina and is a definite must for families. The Sea Thunder offers an exciting and thrilling boat ride through the Atlantic Ocean and a dolphin watch along the Carolina Coastline. Ride the Sea Screamer, a thrilling and exhilarating boat tour through Myrtle Beach. Relax on the narrated tour of the Intracoastal Waterway and get ready to see playful dolphins along the Carolina Coastline. This large speedboat then zips through the Atlantic Ocean past the Carolina beaches and high-rise resorts. Families should wear swimsuits or casual clothes and be prepared to get wet. 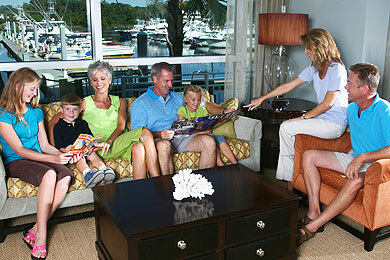 Hotel guests can pick up coupons in the lobby for exclusive specials and deals on boating tours and rentals. Located onsite, Filet's Steak and Seafood Restaurant offers casual family-friendly dining right on the water. Enjoy appetizers, entrees and local entertainment. For starters try the mussels or shrimp cocktail. 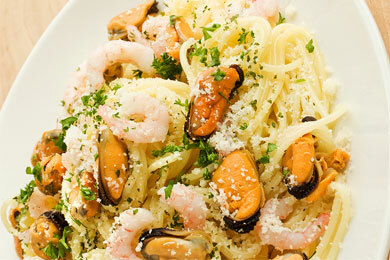 A wide range of dinner entrees are available including prime rib, seafood dishes, pasta and salads. A sushi menu features appetizers, soup, sashimi, hand rolls and specialty rolls. In addition to the main restaurant menu the Capt'n Dilligaf's Tiki Bar features a lighter fare menu including shrimp baskets, burgers, chicken fingers, sandwiches and a variety of cocktails and frozen drinks. Enjoy great food, gorgeous marina views and live entertainment for the perfect family dining experience. With a wide variety of other dining options nearby, families will easily find something for even the pickiest eaters. A marina is onsite with 100 boat slips, gas pumps and a store with boating supplies and snacks. For families planning to visit Myrtle Beach the summer months are the best time to vacation. With school out, families can enjoy all Myrtle Beach has to offer. Although many family attractions and activities open for the summer, this is when rates will be at their highest. After summer rates drop, in the early weeks of September, families can still enjoy the warm weather and beach activities. Some family attractions in the area close after Labor Day, such as the Family Kingdom Amusement Park and Water Park, but will reopen after Memorial Day when family travel picks up again. With plenty of airlines flying out of the Myrtle Beach International Airport, getting there is the easy part. 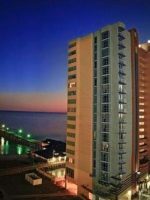 Located at the south end of Myrtle Beach, the airport is within 20 minutes of most hotels and resorts. 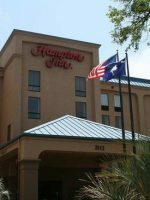 If traveling by car better suits you, the Harbourgate Marina Club offers guest parking. Several car rental agencies, taxi's and limo services are also available to take you where you need to be. The Capt'n Dilligaf's Tiki Bar is a great place for mom and dad to sip a cocktail while overlooking the marina.